Blue Line Science – We apply behavioral science to improve performance across disciplines to include leadership, management, and all high-stakes environments. When people are being deceptive they leak the truth - you can be trained to spot it. It is time we bring science into the interview room. In this article we address the current state of affairs in our interview rooms. 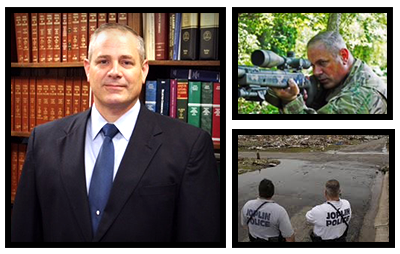 An advanced course designed for law enforcement and security professionals. How we do it: We apply behavioral science to improve performance across disciplines to include leadership, management, and all high-stakes environments. We apply behavioral science to improve performance across disciplines to include leadership, management, and all high-stakes environs. The result of this training methodology produces a mindset and capability that can be applied to self-management, problem solving, leadership, and to effectively resolving interpersonal conflict in all situations. Failure during high-risk contacts and force events is caused by human performance factors. These same human performance factors are what detract from an effective executive performance, boardroom to the back-alley. We apply behavioral science to improve performance across disciplines to include leadership, management, and all high-stakes environments. It is our goal to place high quality, professionally trained police canines and handlers on the streets in order to assist in making your community safer for citizens and officers. Our consulting service is designed to assist administrators in establishing and maintaining a proficient canine program. We offer education in the areas of handler selection, legal issues, budgets, community relations, canine program expectations, and program needs and requirements. The combat mindset reaches beyond the battlefield to yield a mindset that can be applied to self-management, problem solving, leadership, and to resolving interpersonal conflict. We incorporate cognitive and psychosocial research to produce a combat effectiveness in all environment: boardroom to back-alley. Our Combat Training is violent. This does mean that we think violence is the only answer or even the first answer. However, when violence is the answer, you should not be found lacking. Training attire should be comfortable workout gear or duty gear as applicable. First, if you have had training from me you know that your safety is of the utmost importance to me. I do not believe that you have to suffer injury in order to learn. I also am not trying to make you tough. I am making you dangerous. Combat training is not an exercise class. Many of us have experienced significant wear and tear on our bodies. You are likely capable of participating in our courses. If you have any concerns about this just ask me. We share a common bond in that you want to walk in peace until you can no longer do so. Like me, you want to protect your family, those that you are responsible for, those that you have sworn to protect, the innocent, or those that you love. Join me and you will receive a choice selection of the fruits of my life’s work. Our Combat Training is such that, in order to remain socially responsible, participants cannot have a history of felony drug possession, domestic violence, resisting arrest/obstruction of justice, or any violent criminal history. Want to host Blue Line Science Training Group at your event or conference? Need more information about one of our classes? Contact us today – we’ll be glad to point you in the right direction! ‘A Nation’s Strength’ – Happy Independence Day!